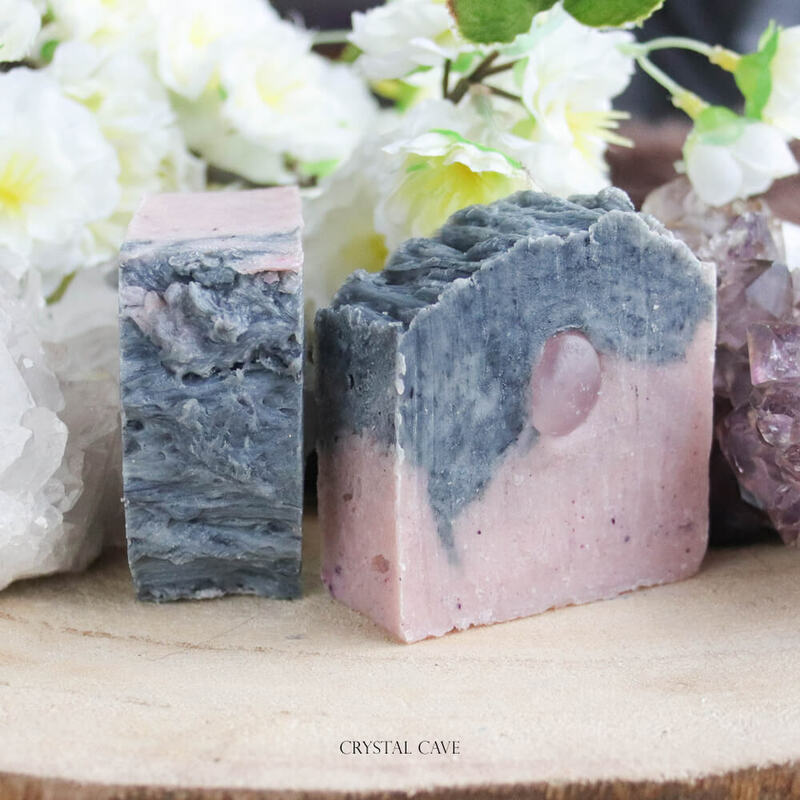 Enjoy delicious, 100% natural care with these handmade rustic soaps from our own atelier! These soaps last a long time and offer you a delicious, gentle care. 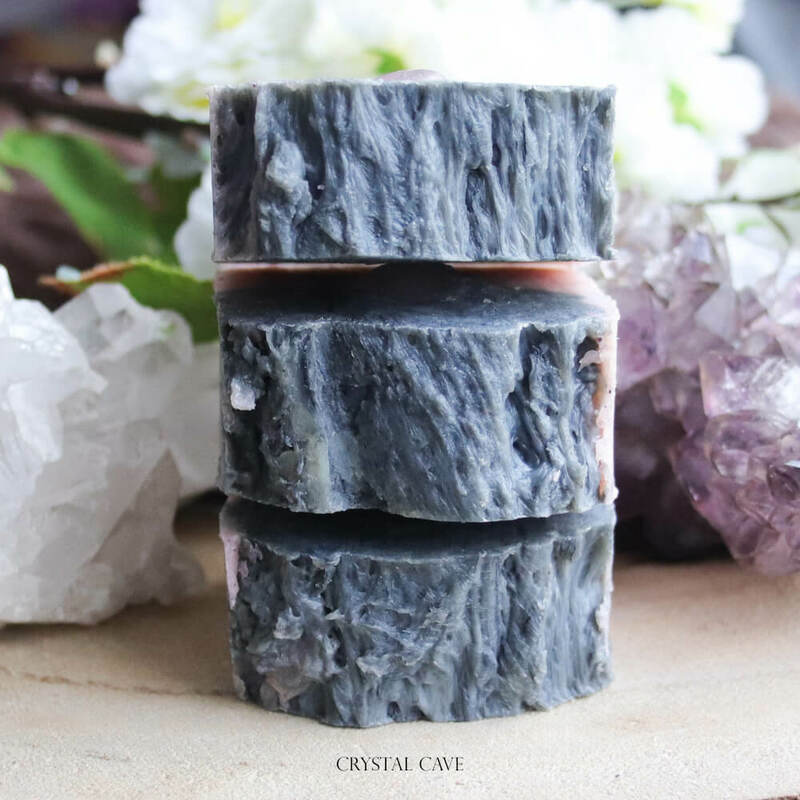 The gem in the soap can be used as a massage stone when you wash your hands. 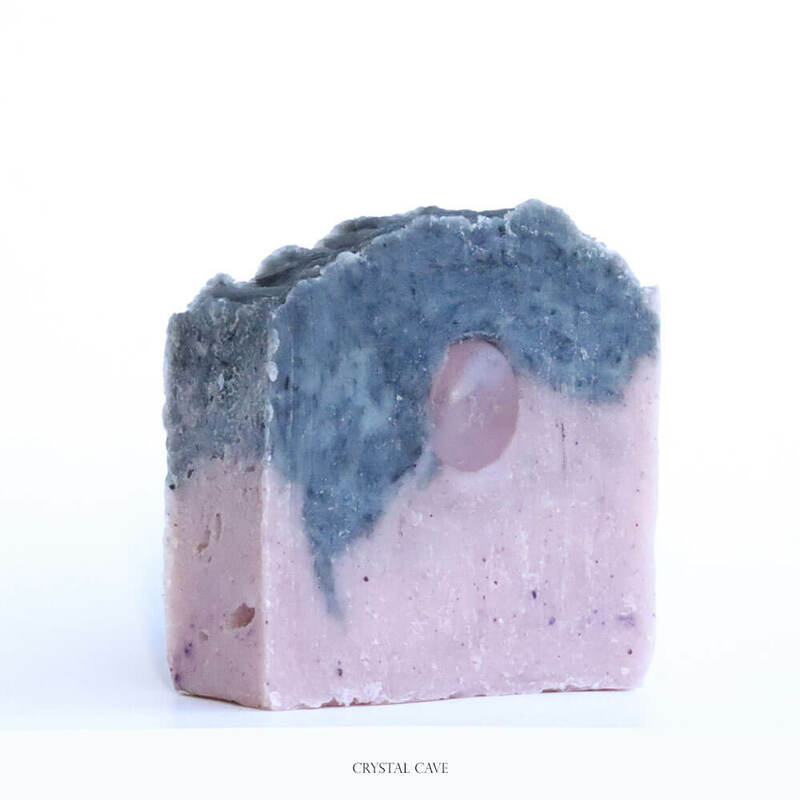 Lovers Garden is a pink and black rustic soap. This soap is made around the thought that you are in a lovely park with the finest flowers and herbs smells around you. The scents that are in it are subtle we have chosen for essential oils to give you that natural feeling. This fine scent mix is made with the scents of Rosemary, Marjoram, Ylang Ylang and Geranium. 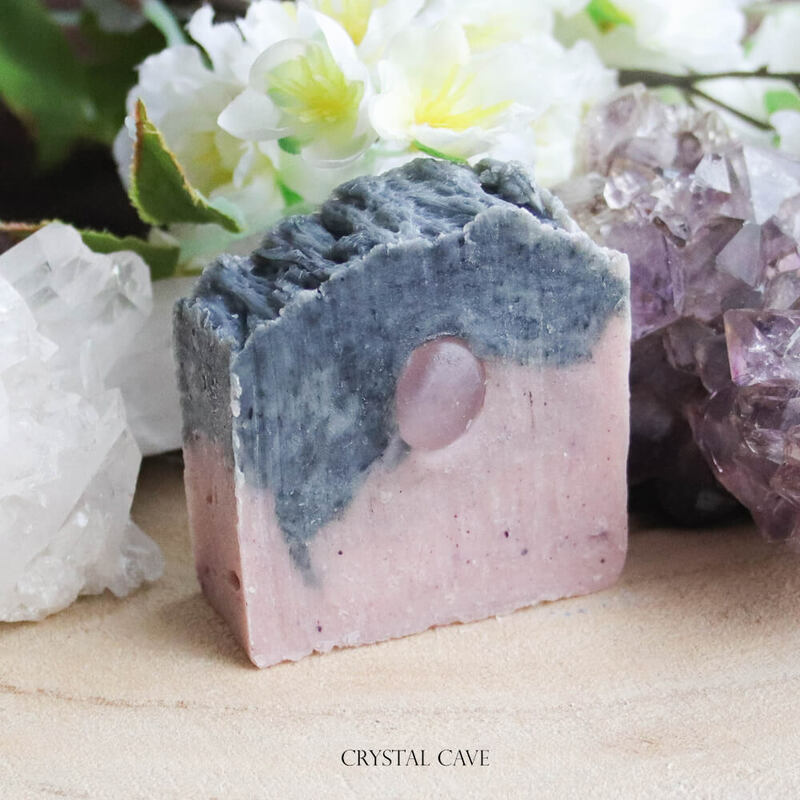 The stone in this soap is a Rose Quartz, the stone of Love! She opens the heart so that you can receive and send out love. She teaches you to love yourself and others. heals a broken heart and lets you look lovingly at the world again. The stone makes it susceptible to all kinds of beauty and stimulates creativity and imagination. Ingredients (INCI): Sodium Rapeseedate, Sodium Sesameeedate, Sodium Olivate, Sodium Castorate, Sodium Cocoate, Aqua, Glycerin, Rosmarinus Officinalis (Rosemary) Leaf Oil, Thymus Mastichina Flower Oil, Cananga Odorata (Ylang Ylang) Flower Oil, Pelargonium Graveolens (Geranium ) Flower Oil, Geraniol, Linalool, Citronellol, Benzyl Benzoate, Benzyl Salicylate, CI 77268, CI 77007. Only for external use – not to be used around the eyes, mucous membranes or on damaged skin. If irritation occurs, discontinue use. 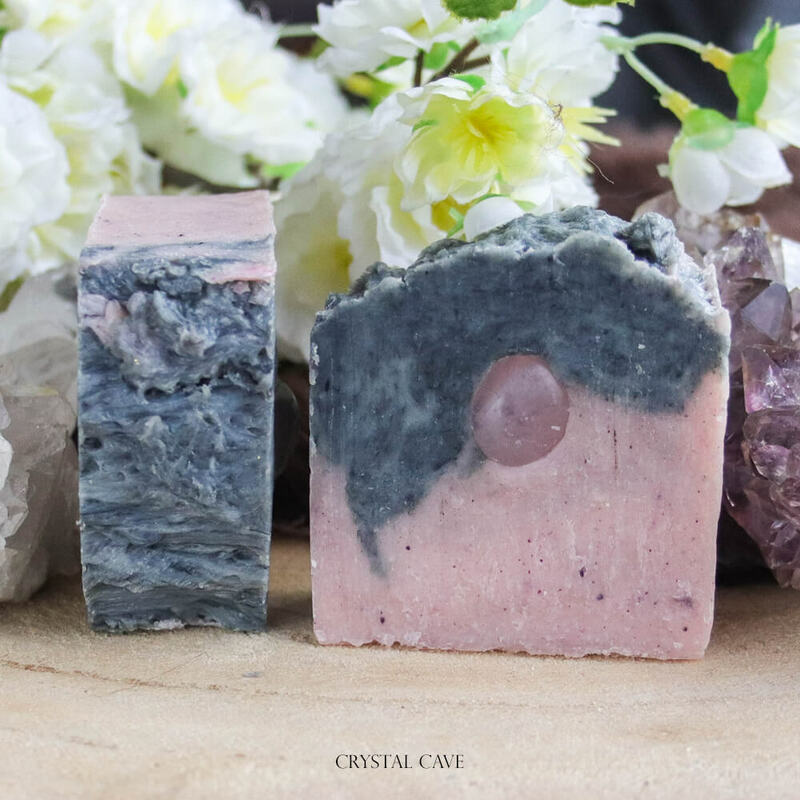 Because all our soaps are handmade, take into account when ordering that the end result looks different than on the photos, and the weight also differs per soap. 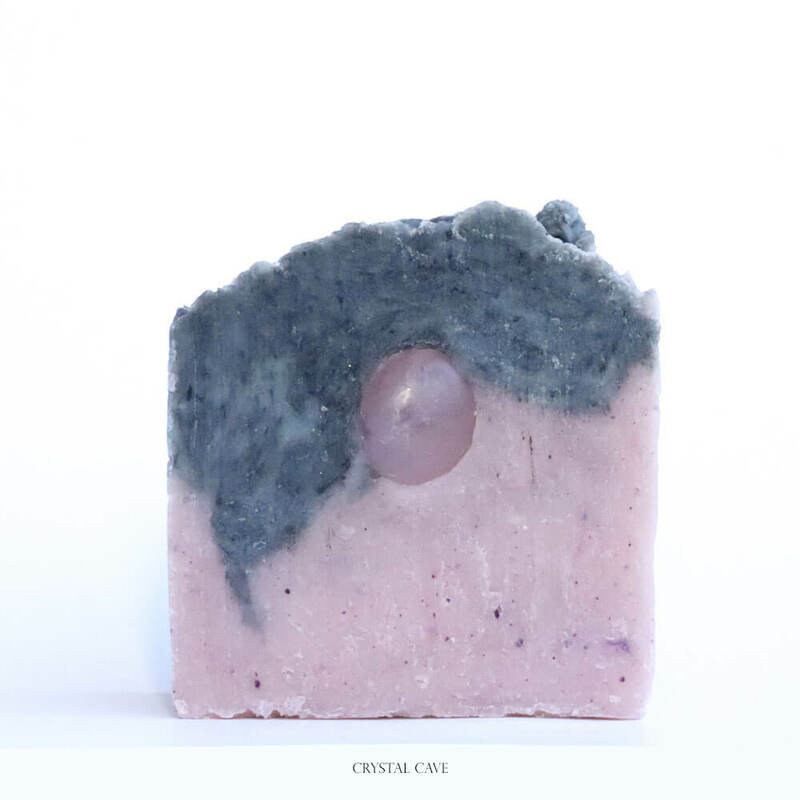 Our soaps have the necessary safety reports, comply with the 1223/2009 European cosmetic regulations and are made under GMP.